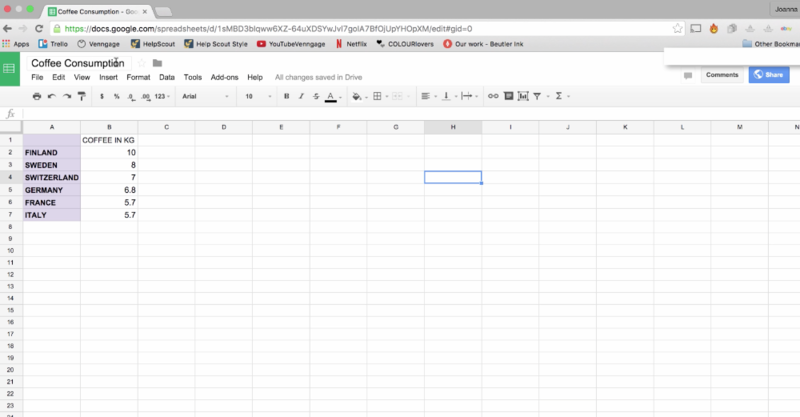 How do I import from Google Sheets? 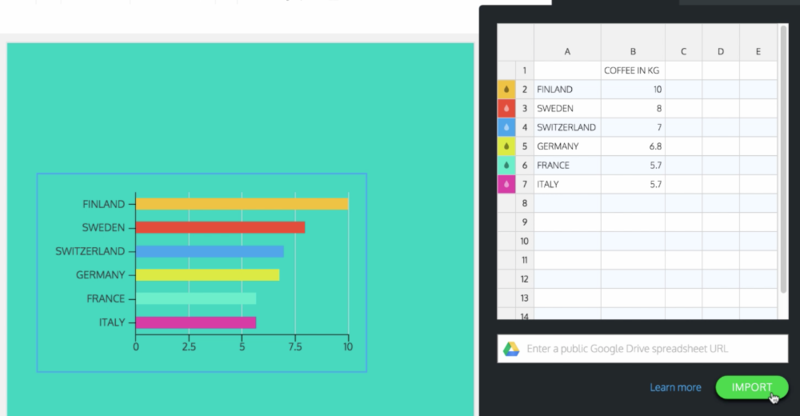 You can import spreadsheets to your charts directly from Google Drive. 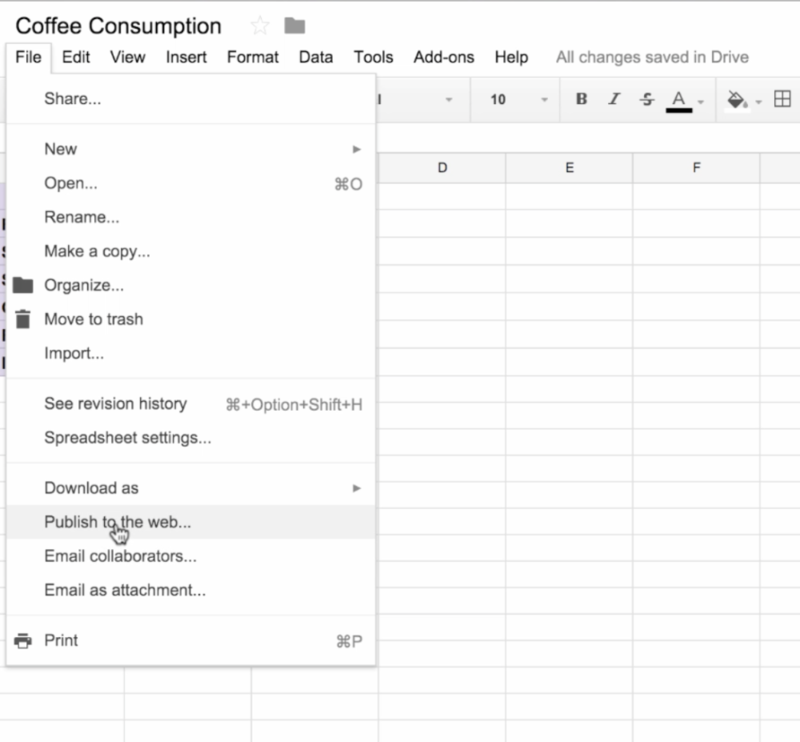 Go to the Google Drive spreadsheet you want to import. Then go to File —> Publish to Web. Now, copy the link provided. Head on over to Venngage. 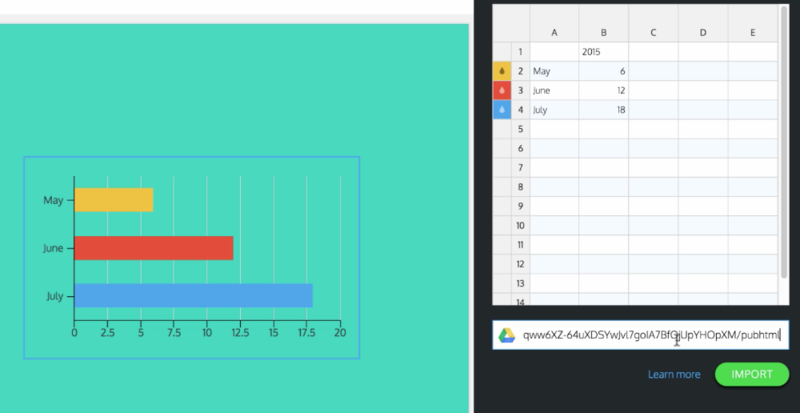 When you’ve dragged your desired chart onto the canvas, double click the chart to open the chart settings. 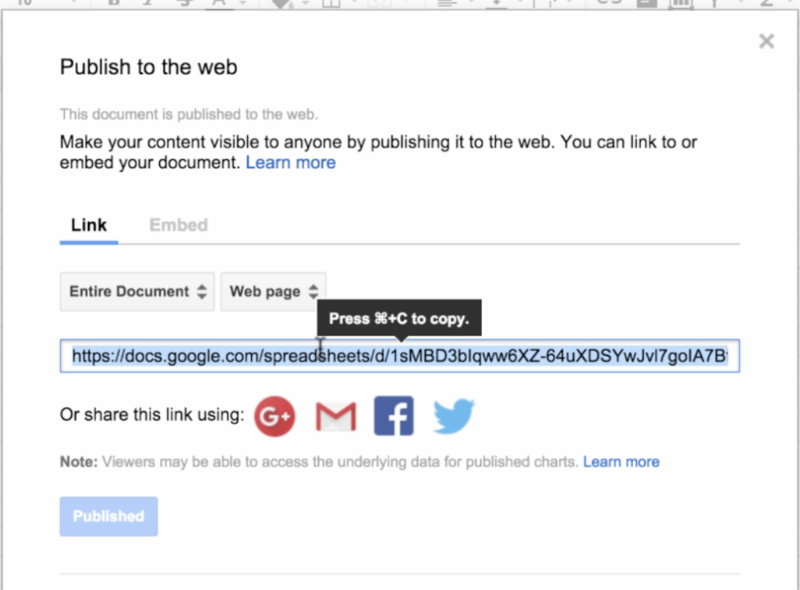 You can now paste your spreadsheet link into the field below and click Import. Your spreadsheet should now transfer onto the data table above.